" . . . Having once agreed to be born into this outer world, you must traverse here for a time. Trust that when your Mission is concluded you will surely return to these Akashic Realms. Once more you will know only Perfection, only the Godly Estate, only a Consciousness that knows no limitation, knows no sense of want — for all is within reach of your Heart’s Desire. "You have become so accustomed to the densities of this physical octave that you lose sight of these rarified Realms of Light. Therefore, We come from time to time to remind you, to release Our Consciousness, Our Light, Our Love and caring concern for your lifestream. Now you — by the election of the free will of your own mind, of your own emotions, and yes, even by the election of your physical body, the densest one you wear — you can determine not to take advantage of this opportunity. You can elect to go about your familiar affairs, failing to entertain this other Realm so close at hand in which you could coexist as you work out your destiny here below. "Oft times you may be tempted to complain that the very arrows of Light and currents of Fire released into the atmosphere about you make it too difficult for you to carry on your daily life, much less absorb the Light into your outer vehicles; for much Light must be released into the Earth at this time! Having ignored the Realms of Light for so many embodiments, even our students find it difficult to elevate their consciousness into these Realms of Fire, hence depriving themselves of the opportunity of learning how to consciously make the trek there. For it is not as easy as simply saying you will enter the Realms of Light. You must have the training. Your mind must come to understand how to cognize and contain the Fire of the Mind of God. The emotions must become charged with the Energy of God. The physical body must be willing to receive these rarified gifts of the Mighty I AM Presence and, yes, of the Akashic Realms, into the very cells of the densest of your bodies, the outer physical. "So the question becomes, how do you train these untamed vehicles? 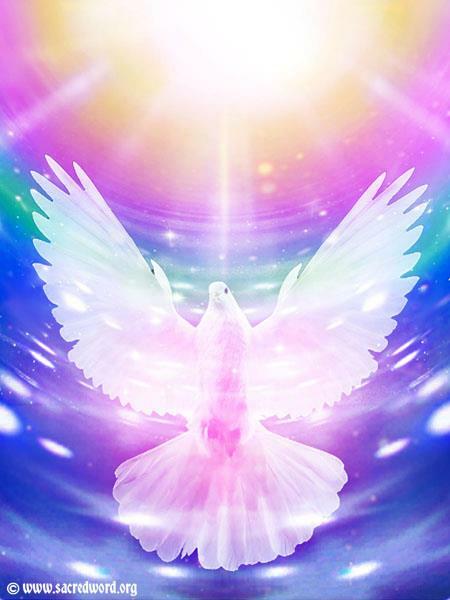 Repeatedly throughout the ages, the Ascended Masters have sent their emissaries as Anointed Messengers to release certain Teaching and Instruction that was intended to endure for all time. It matters not that you are unaware of some of that Instruction that has been lost in the annals of time. Nevertheless, it is recorded in Akasha. It is a part of the fabric of Cosmic Law and thus available to you when you can traverse these inner planes in your Garment of Light and read the record. "This Garment of Light is your entrance through the Gates of Gold and into the Light of Illumination! It is the Higher Vehicle that allows for ease of handling the many currents of Light, which can and are released so that you are able to enter that specific current that is required for your immediate use. When I, the Maha Chohan, pose to you the opportunity of direct encounter with these currents — all of which can be available for your immediate use — you should consider cultivating the discerning faculties required to tap into these currents and receive my Instruction on that Light. "Perhaps my Presence here today means no more to you than a gentle impetus that stirs your Heart to become slightly more than you have previously felt capable of becoming. Perhaps for others of you, you see it as the opportunity for your consciousness to receive, increment-by-increment, bit-by-bit, the worded Instruction that your own God Presence would transfer into your mind as “Thought from the Mind of God” impressing upon your vehicles so that they may respond correctly to the Will of your God Presence — thereby establishing more of the Blue Flame currents of the Will of God than the insipid currents that are more frequently released by the thought patterns of the outer mind, otherwise known as the human will. The same analogy applies for each of the lower vehicles of consciousness you wear. "However, what of the stalwart ones who stand in the midst of all chaos and confusion, holding fast to these Realms of Light? These hold fast to their true Identity, determined to accomplish more than even they thought possible! First you must realize that all 'would-be' disciples are faced with the same initiations and cycles to be mastered. 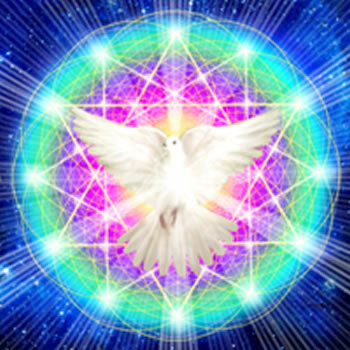 For indeed it matters not how recently one has come to the understanding of Our Realms of Light or of the reality of Ascended Masters and their assistance to mankind. 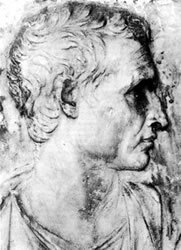 The tests are the same, the initiations the same for first time novices as well as for long standing students who have been on the Path of initiation for many incarnations. . . . "
Virgil, Publius Vergilius Maro, was born in 70 B.C. near Mantua and was educated at Cremona, Milan and Rome. Slow in speech, shy in manner, thoughtful in mind, he went back north for a quiet life. All his undoubted extant work is written in his perfect hexameters. Earliest comes the collection of ten pleasingly artificial bucolic poems, the Eclogues, which imitated freely Theocritus' idylls. They deal with pastoral life and love. Before 29 BC came one of the best of all didactic works, the four books of Georgics on agriculture, trees, cattle, and bees. Virgil's remaining years were spent in composing his great, but not wholly finished, epic The Aeneid, on the traditional theme of Rome's origins through Aeneas of Troy. Virgil made his transition in 19 B.C. at Brundisium on his way home from Greece, where he had intended to round off the Aeneid. He had left in Rome a request that all its twelve books should be destroyed if he were to die then, but they were published by the executors of his will. 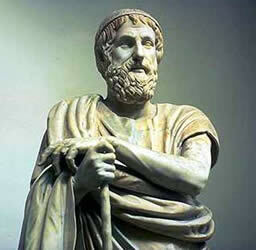 Homer was a Greek epic poet who was the author of the Iliad and the Odyssey. These poems represent the culmination of many centuries of oral story-telling and a well-developed system of poetic composition. The date of Homer's existence was controversial in antiquity and is no less so today. Herodotus said that Homer lived 400 years before his own time, which would place him at around 850 BC; but other ancient sources gave dates much closer to the supposed time of the Trojan War (1194 - 1184 BC). The formative influence of the works of Homer in shaping and influencing the whole development of Greek culture was recognised by many Greeks themselves, who considered him to be their instructor. "One Heart At a Time"
" . 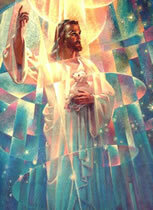 . . How does one bring forth to a world the Teachings of the Ascended Masters? It is by contacting and winning over one heart at a time. Each heart responding to the inner call of their own God Presence will resound to the tone that will, in fact, resonate with the Cosmic Tone from the Great Central Sun. 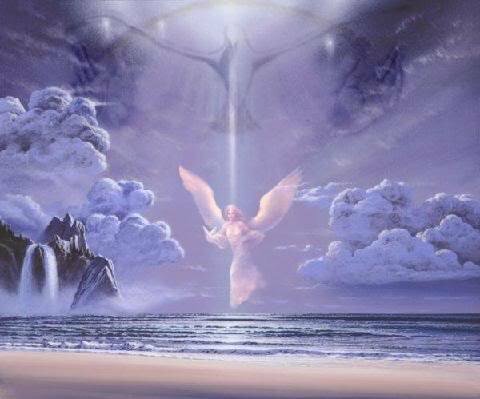 And all those Ascended Masters and Cosmic Beings will hear that Tone and respond in like manner with a release of Gratitude from Their Heart, for that one who has heard the call of their God Presence and responded. "This is a Path intended ultimately for all, but relatively few will hear the highest Cosmic Tone. Only few will respond in a given time or cycle. There are reasons for this, not unlike the contagion of the psychic plane that you have spoken of this day. However, there is also the contagion of Ascended Master Fire. 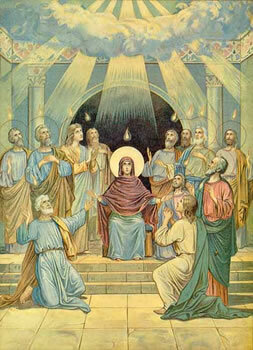 And when you have the Divine Blueprint and the God Identity impressed upon the Seed of Light that goes forth from the Universal Sea of Light, that moves into space and has the momentum and has been propelled by the student of the Light, that Seed of divinely charged energy must go forth and impact all whom it contacts. "And yet, how many are there who are sending forth by the will of their being, by the Fire and the sharpening of their visualizations, by the intent of their hearts, the pure aspect of Ascended Master Vibration? Contemplate, if you will, how many students of the Light do you know with the purest intent, that have in fact, forged through the veils of human consciousness sufficiently to release the Fires of the Heart. And then multiply that times seven, times twenty-four, times three hundred and sixty-five and consider, if you will, if that is sufficient to raise the consciousness of the planet. "At the same time, consider those who are dabbling in all forms of lesser vibration. Then do you not see how great even one Ascended Master student’s embodiment can become? The fulfillment of even one who is determined to ignite the Fire of God upon the Altar on their Heart and resonate with that Fire then multiply that Fire with their calls, with their energy, with their momentums and talents, is a Victory indeed! "This is the work that each of you must decide to embark upon each morning that you arise and awaken to the new day. There are those for whom it is no longer a question or a consideration. For they have chosen, over and over again, for many lifetimes to be counted among the Vanguard of Light and to move into action to bring forth the Golden Age. World Service has become such an ingrained momentum of their very lives that it is no longer even a conscious awareness, instead every action moves naturally toward that final goal. "And yet there are others who have not quite determined which course of action to take. It is not because they would not desire to be the fullness of all that God would have them to be. It is because there yet remain momentums of human creation and the human condition. There yet remain desires of the flesh that cry out to be fulfilled. 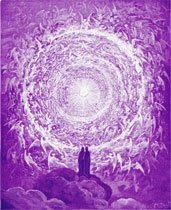 The Violet Flame is always the key and where there is even a flicker of the desire of the Heart to be the hands and feet of the Ascended Masters and most especially and most importantly your own God Presence, apply the Violet Flame, for no greater Service to Life can be rendered than to transmute your own misqualified desire patterns. "FOR ONCE DONE, THERE IS THE PURITY! There is the vibration of your own God Presence that can in fact reach through the Heart, guided by your Holy Christ Self, and can bring forth into this physical octave the pristine Essence of God! The Violet Flame can be your key if used diligently! "If it is not yet the time for you, know well that at a given time in the future, the Heart will be able to reach through those veils of miscreation and you will respond. For it is the Law of Being for each Lifestream, whether fulfilled in this embodiment or sometime in the future. The only concern is how long will you tarry in the human condition. Bring God and the vibration of the God Presence into your world and it will quickly become the Heaven on earth that all have long desired and now wish for this Ascended Master Activity. 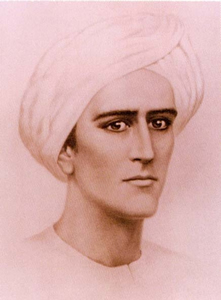 "I, the Maha Chohan, stand ready to reinforce each of the Seven Rays and to support each of the Chohans, and to bring about the fullness of those releases in your world where I find true desire for God. "Go in the Light and the fullness of all that you are capable of becoming and be Victorious." " . . . 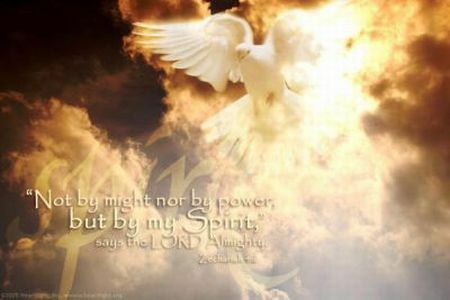 Surely you know that there are some in the churches and throughout the earth who have Elements of the Holy Spirit, for the Holy Spirit does not limit Its Offering to those of the Christian faith. Beloved ones, the followers of Christ do not have all the elements; for the disciplines of the Holy Spirit that are found in the East in the long traditions of the Buddhas and the Bodhisattvas are sometimes too hard for devotees in the West. Almost as children, they play and splash in the fount of Divine Love and thus have that Joy of the Spirit, yet not its full Mastery. "The Teachings you have, all that has come through the Holy Spirit from the Ascended Masters and Cosmic Beings, do give you the opportunity for such self-mastery. But you must take the opportunity as an exercise of free will, as an exercise of commitment to your own Inner God and not to another, as an exercise that shows your recognition that he who would desire the manifestations of the siddhis, the powers, must begin to be self-disciplined. "The disciplining of the mind can be found in the practice of meditation. The disciplining of the emotions must be found in interaction with others. There is no more certain way to gain mastery of the emotions than to have to mingle with people from all walks of life, and to always prefer to impart the Flame of Love and of Charity toward those who do not have the Flame of Harmony. "The choice is always there - to be pulled into the morasses, the cesspools, vortices, quicksands of negativity - or to shun them. And always remember the words of your Lord: 'What is that to thee? Follow thou Me.' In other words, forget it. Let it go. Do not become further engaged as you see your energies escalating, and with the escalation, the loss of your God-Control. "There is no more important achievement for those who desire the Holy Spirit and Its Gifts, even one at a time, than to be able to offer to others perpetual love, perpetual comfort, perpetual sweetness, perpetual helpfulness, compassion and charity. Charity is a word that means 'self-givingness'. As Mother Teresa has said, 'Give until it hurts'. "Now I come to you. And you have had a foundation of the perceptions of the Holy Spirit and of the Lord Christ by one and another and many whose lives have been touched. 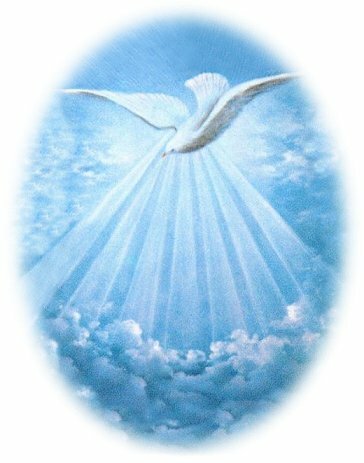 So great a salvation can be found in but a thimbleful of the Holy Spirit that can come upon you. Think, then, and say to yourself, 'I shall not neglect so great a salvation as the larger Circle of Awareness that my God has revealed unto me through this Path of the Ascension, this Path of the Resurrection, this Path of Eternal Life.' . 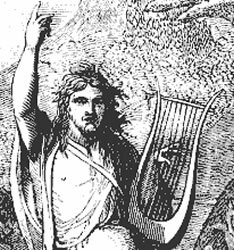 . . "
"... As Orpheus, I knew well how to command the elemental forces of nature. You blessed ones may have that same commanding Presence where you are, but it requires a discipline of the outer vehicles, unknown to humanity. For the human thought and feeling and the predisposition of the desire body of the flesh does not wish to be disciplined, and yet this is a requirement. And the discipline is not by a prescribed list of do's and don'ts. This is prescribed by your own Holy Christ Self, for your Holy Christ Self knows intimately what is right, what is the vibration that allows for the highest ideal of consciousness to move through your vehicles. The Holy Christ Self knows the harmony that must be established between each of these vehicles of expression, so that when The Light is released from your God Presence, through the Mind of God, The Holy Christ Self, to reverberate through the heart chakra, the throat chakra, the crown chakra, your own third eye, you have the greatest opportunity to establish and set forth each step along the way required for the fulfillment of your Divine Plan. Now if there is not the preparation required, if these outer vehicles you wear have a mind of their own, given want to all manner of excuse, procrastination, or willfulness born out of old habits and desire patterns of many lifetimes, then how are you to change and bring about a crystalline chalice prepared to hold the vastness of the Light of God that can and should come forth into your outer vehicles. It is well that you begin to change the old habits into patterns that are healthy, wholesome, fulfilling the mandate of your Holy Christ Self to purify your vehicle of the physical body, of the emotional body, of your mind. Surely it is wise to associate with those activities of life that are wholesome, that report back to your Heart Flame that the heart may reside in the presence of that vibration. It is not necessary then to close the Heart in that engagement of life. ..."
Meditation music: "Seek Ye First"